This article originally appeared in the April 13th issue of our newsletter, The Raven. Subscribe HERE. 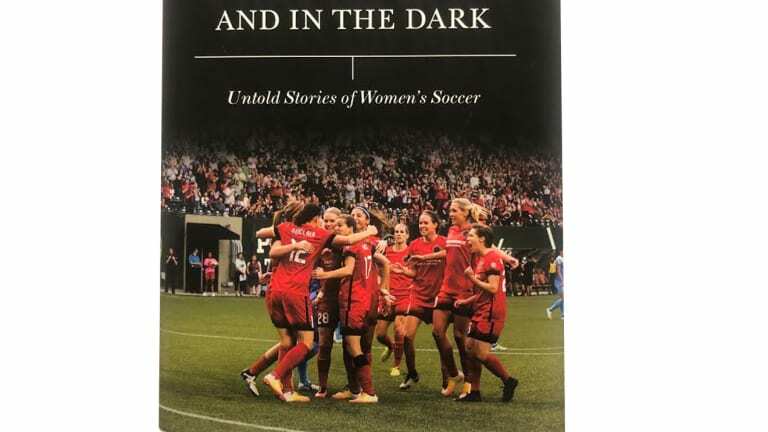 From the raucous futsal courts of New York City high school gymnasiums to the dirt fields and searing heat of Nigeria, Gwendolyn Oxenham’s “Under the Lights and in the Dark: Untold Stories of Women’s Soccer” peels back the layers on women’s football around the globe. The sum of this collection of non-fiction stories is a snapshot of young women sacrificing everything in pursuit of success and building a career in the beautiful game. For me, this book brought back memories of playing as a young girl, when anything was still possible. While reading about these inspirational women pursuing a dream in the sport they love, I was constantly reminded of the hours I spent banging the ball against my parents&apos; garage door in my Mia Hamm jersey -- right foot, left foot (still crap) -- playing so often on the hard concrete that I ground down my first pair of cleats until there was no rubber left on the bottom. For anyone who has dreamed of a career in football, this book will remind you why you fell in love with the sport in the first place. SG: What was it about this collection of stories that inspired you to write them, and how did you come across them? GO: I wanted to know what it meant to play pro, or pro-ish, women’s soccer all over the world. There was stuff out there about Alex Morgan and Abby Wambach and the American players, but I was interested in the nobodies. Because I played [Gwendolyn played at Duke University and professionally, for one year, in Brazil.] I had connections. So I used my foot in the soccer world to go on a big scavenger hunt. I would hear something and then I’d want to go find the full story. One thing would lead me to another. What’s lucky about women’s soccer is that there aren’t 10 levels and layers that you have to go through. It’s not like trying to reach out to Wayne Rooney. Usually you can get someone to call you back. SG: The NWSL features prominently in your book. The league just kicked off its sixth season. What are you most looking forward to this year? GO: Utah [The Utah Royals, a team new to the league this year.] has thrown a level of resources at the game and are really treating their players like professionals in a way that’s not really been seen before, so I’m interested to see what that looks like. I’m always interested in the Marta/Alex Morgan combo in Orlando. Portland -- I’m a huge Allie Long fan, and now she’s playing for Seattle, their rivals, so I’m curious how that goes. I love Megan Rapinoe -- so Rapinoe and Allie Long together in Seattle is really interesting to me. I just want to see how the league grows. We’re in uncharted territory. We’ve gone beyond the other leagues [Previous professional women’s leagues in America, the WUSA and WPS, lasted two and three seasons, respectively.]. I look forward to seeing all the ways it keeps growing, and I would love to see it become a part of the national conversation. We still have a ways to go with regards to that. SG: Your favorite ever women’s football player, and your favorite ever women’s football goal? GO: Marta, and Marta. Maybe it makes me un-American, but the semi-final against the U.S. where she does that ridiculous circus act, and then scores through three different defenders [WATCH HERE]. That’s just magic. I was in Brazil during that game. And when I played soccer in Brazil, I knew about Marta but the Brazilians didn’t. No one had ever heard of her. And that game, she was all over the newspapers, everybody was watching the highlights. Everyone cared because of that goal. I remember watching her when she was 17 in her first World Cup. I literally sat up, moved to the coffee table and couldn’t believe what I was seeing. She’s a gift. She’s an absolute gift. I think she’s the greatest who will ever play the game. 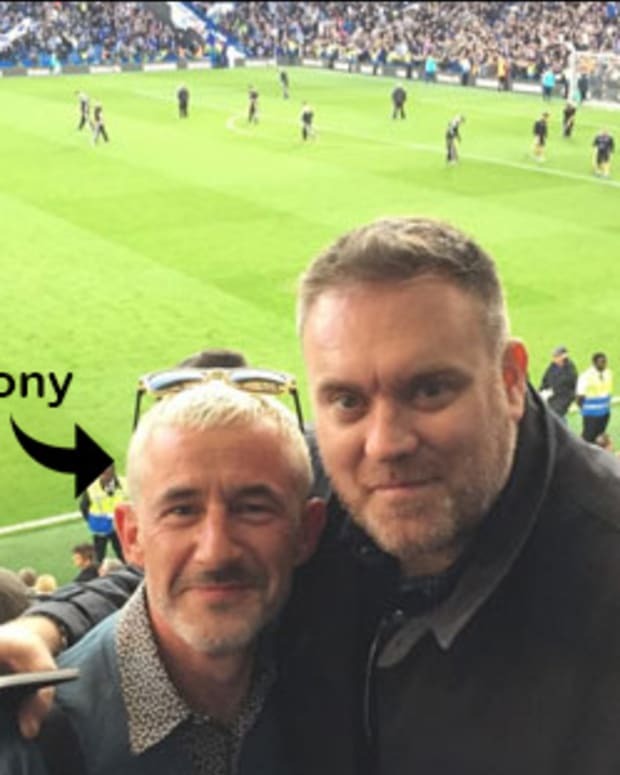 SG: Looking back on this whole writing journey and the people you’ve spoken to are there any big takeaways that really stand out to you about the underside of the women’s game that we don’t necessarily get to see on TV? GO: Anson Dorrance [The coach at UNC Chapel Hill and 21-time NCAA national champion.] has a quote from once when he watched Mia Hamm training by herself. “A champion is someone who is bent over in exhaustion when no one else is watching.” What he meant was you’re putting in the time on your own, even without a coach to impress. I think that quote has become eerily true for women’s soccer in general, in that even if you do make it to the top and you’re a professional women’s soccer player -- no one is watching still. The thing with women’s soccer is that it’s just the clearest form of doing something for love and that’s it. You’re definitely not doing it for money and you’re definitely not doing it for fame. You’re simply doing it because you can’t imagine not. These girls are choosing this over much more lucrative professions. They’re choosing it at the expense of families. And that to me is really inspiring. “Under the Lights and in the Dark” can be purchased HERE, or at your local bookstore. You can follow Gwendolyn on Twitter HERE. And follow Sophie HERE. A longer version of this interview can be found at Sophie’s website, Go Make Me A Sandwich. 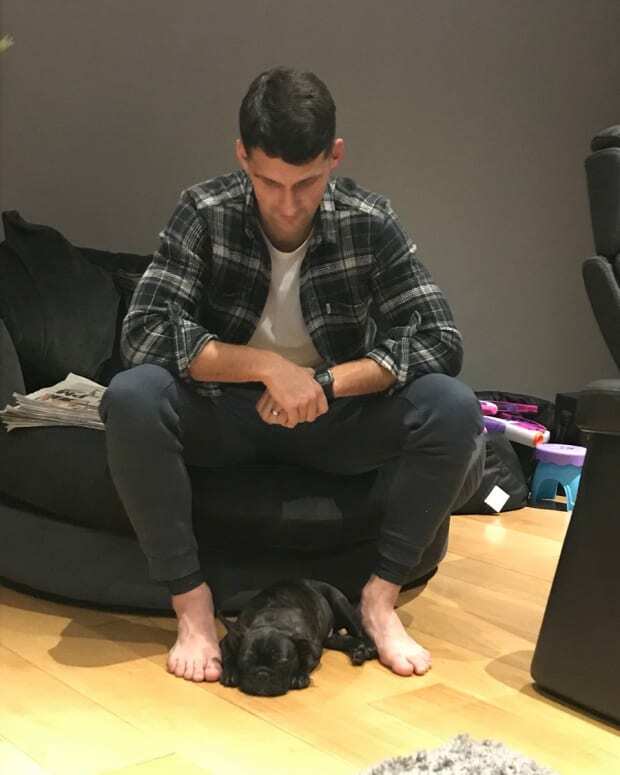 Eric Lichaj on His Brace Against Arsenal and New Dog "Gunner"